GFI FaxMaker Online grows with your business – and we don’t charge you more for additional users. Each user or department can have its own cover page. Your design, your way. 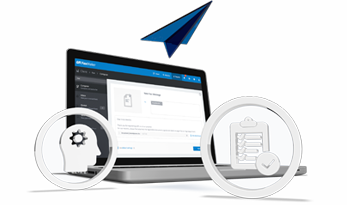 Run reports for users, departments, fax numbers, fax status and more. 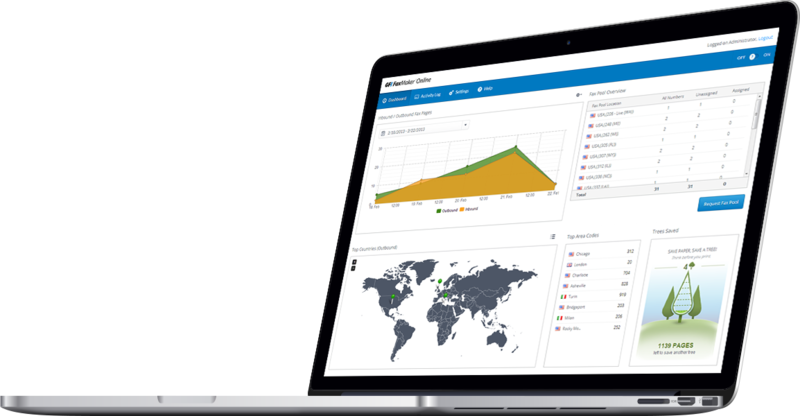 Easy reporting in the format you need right at your fingertips. Automatically route incoming faxes to prevent lost and misdirected communications. With GFI FaxMaker Online you can regain valuable time formerly lost when printing paper documents, manually feeding them into a fax machine, and waiting for a transmission to finish before sending the next one. When using the GFI FaxMaker Online printer driver, you can fax anything that can be printed. GFI FaxMaker Online enables you to send and receive faxes via email. The GFI Faxmaker Online fax service enables you to use your existing fax number or choose a new one. 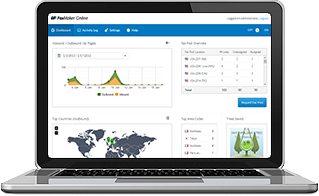 The GFI FaxMaker Online administration dashboard gives you a clear, concise view of your fax environment. Learn how GFI FaxMaker Online can help you through this brief product overview. Follow these easy steps to enable your users to start sending and receiving faxes with GFI FaxMaker Online. Learn how to configure and use GFI FaxMaker Online to get the most from your product. 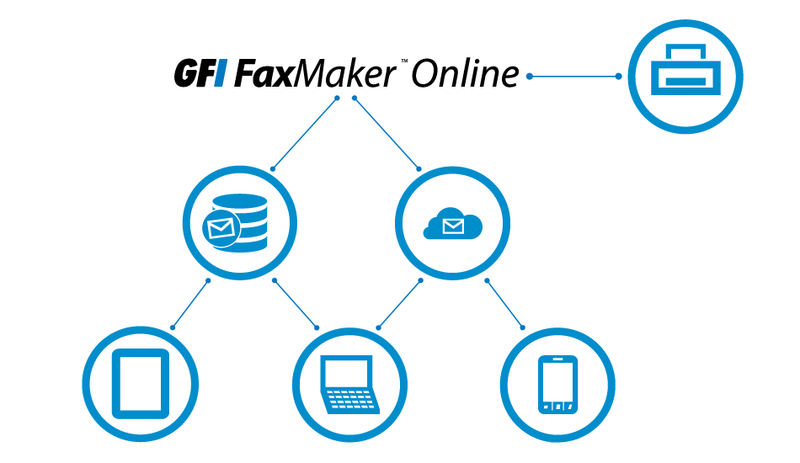 Learn how to install and use the GFI FaxMaker Online Client application to send faxes via GFI FaxMaker Online.